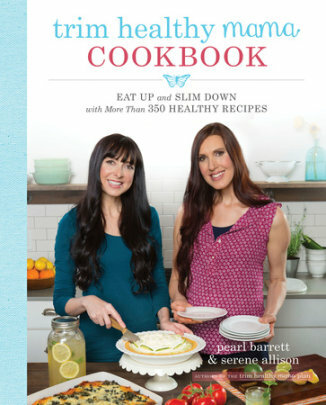 In their debut cookbook, the Trim Healthy Mama’s share hundreds of delicious, healthy recipes to help readers successfully slim down while eating well. This companion cookbook to the bestselling Trim Healthy Mama Plan is just what readers have been waiting for. It features simple, mouthwatering, recipes for breakfast, lunch and dinner—including slow cooker and one-pot meals, hearty soups and salads, omelets and waffles, pizzas, breads and more. No Trim Healthy Mama should be deprived, so there are also favorite snacks, delectable desserts, and the smoothies, sippers and teas fans love. With pantry-stocking advice, time-saving tips, and information on how to cook for the entire family, the Trim Healthy Mama Cookbook offers a delicious and nutritious way to make trim and healthy meals with less stress—so you have more time with your loved ones. This cookbook is a spin off of the popular Trim and Healthy Mama book which a lifestyle plan. Unlike many diet plans, it is one that many people can stick to without feeling like they lost their life a long with the weight. However, this cookbook is not good just for those following the plan. This book would be good for anyone on an alternative diet plan as many of the recipes meet some of the strict food guidelines that are commonly recommended today. I read one complaint that the book was filled with “mixes” and “fake sugars”. Stevia is highly recommended, but in the beginning, all the ingredients are broken down, explained and alternatives are given. I don’t use stevia, but found that it would be simple to use most of the recipes with my own alternatives. If you visit their FB groups or websites, there are also alternative recipes for making your own baking blends etc. It is not hard to figure out. But make sure you read the entire first part of the book. If you are not used to eating low sugar foods, some of the desserts will not taste very good to you. However, if you are, they are fairly good. 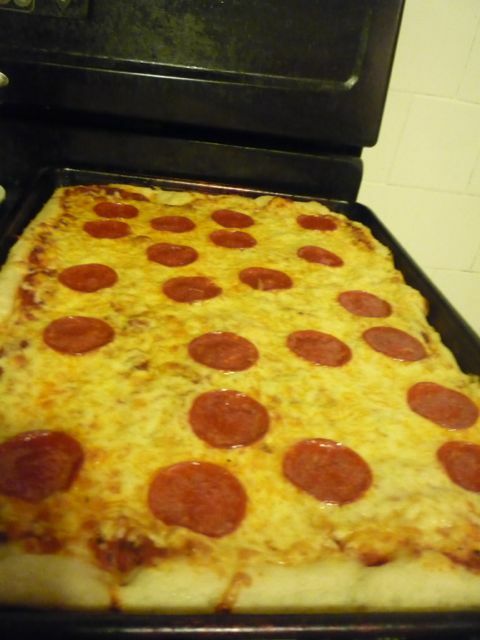 I have had several of the recipes and was pleased with how they tasted. Roasted radishes are really good, they taste like a cross between a potato and a Brussel sprout when roasted. Mostly, this book gives you great alternative recipes for alternative diets, simplified. It is not for everyone, but for those that need it, this is a great resource. The full color pictures and the authors sense of humor make it a fun read as well. This book was provided to me by Blogging for Books. The opinions contained herein are my own. Friday: Dinner with Family- Pesto pasta, chicken and caesar salad. Now, all I have to do is get all the food, keep it around for the meals and clean out the fridge. 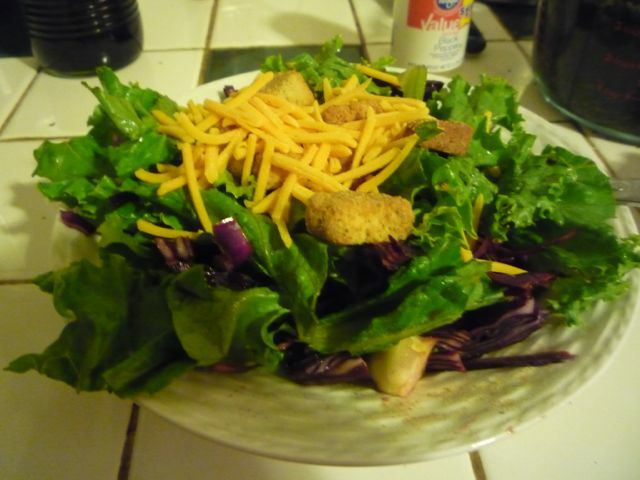 This week is more like the week of….”I spent too much because we had to eat sandwiches for dinner for two weeks, so eat out of the freezer week.” It isn’t too bad, but I am once again reminded of how much I hate meat and how I need to buy more salad stuff. I will be away from home for dinner every night this week, so we are planning on eating a lot of sandwiches, fruit and vegetables while out. However, I am going to try to have something at home for the boys to eat when they get home as I know they will be hungry otherwise. Saturday– Crock pot meal to bring with…. The school week is interesting and will look different. Last week, we did testing and school around it. This week is filled with music, drama and dancing practice. I am promoting lots of sleep, exercise and healthy food hopefully with history, science and other subjects mixed in!